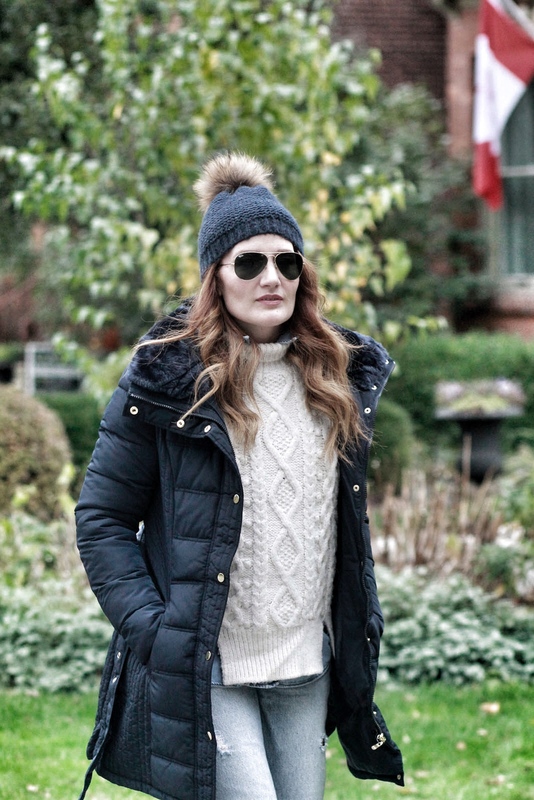 I have a confession to make: even though I am a Canadian, born and raised in Ontario, I did not get my first puffer coat until last year, having always opted for wool coats instead. It wasn’t until my sister raised her eyebrow at my coat choice during one of those really cold February days we had the year-before-last (February 2015 is the coldest recorded month in Toronto ever! ), that I broke down and agreed that maybe I should try a warmer coat—a puffer, to be specific. Well it took me a year to find one that I liked and therefore, to realize that she had been right about the next-level warmth I had been missing out on. Now I can’t get enough of puffy coats. Lucky for me, my latest puffer is George from Walmart, so the price is right! 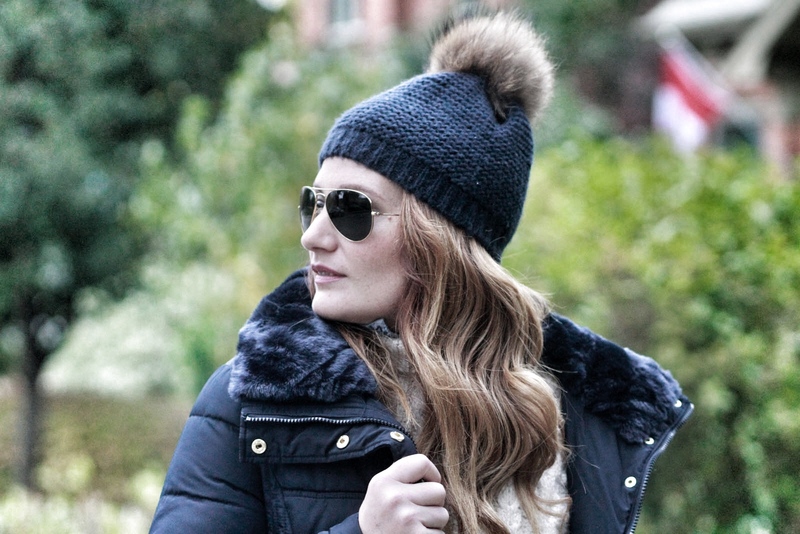 The luxuriously soft faux fur collar on this George Belted Puffer Jacket had me at hello, and I also love the colour (navy is an absolute must for redheads), as well as the gold hardware. When I saw the price tag, however, I was a bit skeptical about how warm a jacket that only costs $49.97 could be, but I decided to throw caution to the wind (literally), and tested it out on a recent blustery fall day. I’m happy to report that it kept my not-yet-calibrated-for-fall self, toasty and warm. 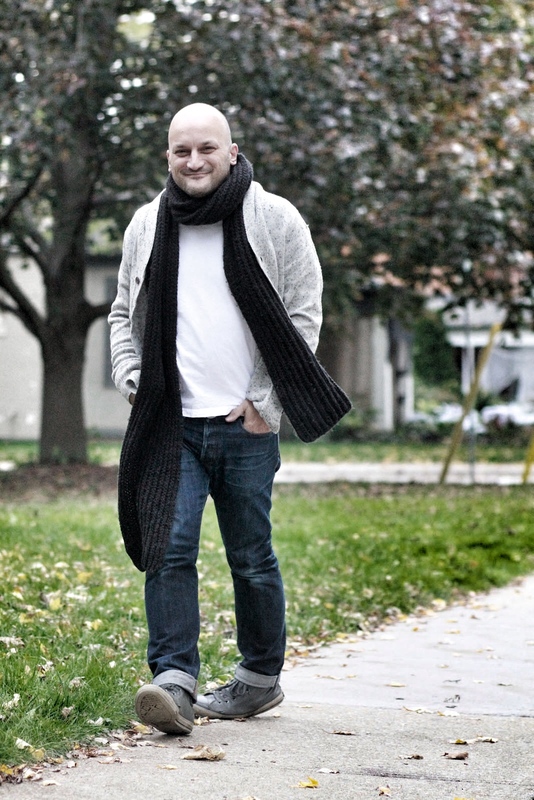 All that aside, the real pièce de résistance for me is that it’s warm without making me look like the Michelin Man. Needless to say, I appreciate the sleek, A-line silhouette that keeps me looking chic and feeling warm. Win,win! 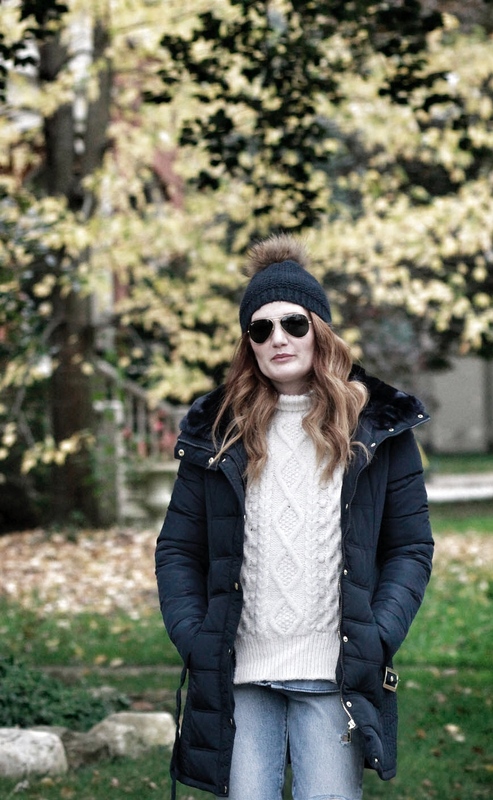 If the jacket I chose isn’t your jam, but like me, you love a good deal, head in store where there are a variety of puffers at different thicknesses for all weather/activities, in an array of colours from neutral blues and greys to punchy fuschia and coral. Mike also got to get in on the action by choosing a sweater from among George’s selection of pullovers and cardigans for men. He chose this cozy George Shawl Collar Cardigan that I know he’ll get a ton of wear out of as a layering piece this winter. Something that really surprised both of us while we were shopping was just how much Mike liked the men’s sweaters. 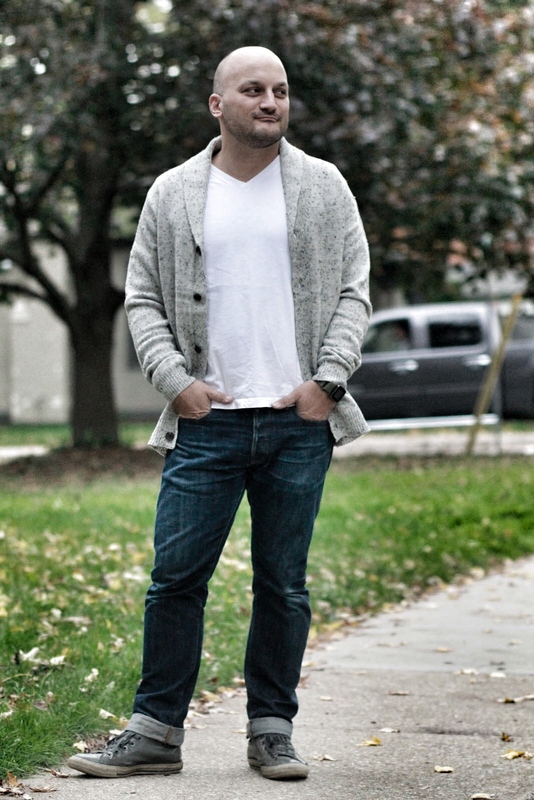 Of the two of us, Mike is very particular about fit but he liked the slim cut—and quality feel—of this cardigan, which was a steal at under $25! So don’t let the extremely affordable prices fool you. George at Walmart boasts some good-looking, high-quality winter wear that everyone can get their hands on! Nice jacket! Also, that is a great sweater! You guys look great, I really like his cardigan. I’m surprised at how nice the items are from Walmart !